Please call or visit us, we are here to assist you in your property ventures. Bruce’s Real Estate career now spans more than eighteen years and this experience in marketing property has made him a highly-valued Sales Manager. Our teams can rely on his advice in preparing property for the marketing launch, selecting the right marketing strategies and his grasp of current market values. After selling their group building company a move into Real Estate in 1996 for both Heather and Bruce allowed them extend their skills in a similar field, a move that has proved to be a point of difference over other Real Estate Companies in the area. 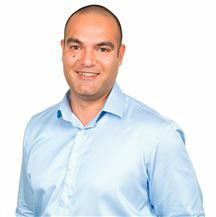 They relocated to Auckland in 1999 to the Royal Oak office of another franchise group and were multi-term qualifiers for “Captains Club” status being in the top 10% of the company’s salespeople worldwide. Bruce is a successful and practical business person who diligently attends to a client’s best interests at all times. In what can sometimes be a challenging and stressful process, Kirstin’s approach to helping buyers and sellers is refreshing. Her years of experience in the client service and real estate industry has given her an in-depth understanding of what clients need during this often-emotional process. It’s a large-scale decision to buy or sell your home, so trusting your representative is of paramount importance. Kirstin’s business experience as well as personal experience as mother of a close-knit family, enables her to empathise as well as offer sound judgement when it really matters. Having facilitated more than $130,000,000 of real estate transactions and being recognised “Top Office Salesperson” multiple consecutive years is testament to the trust and faith many previous clients have afforded her. If the journey is as important as the result you’ll love Kirstin’s approach. A W A R D S • In excess of $130m in settled sales • Rookie of the year 2013 • Top of the office 2013 • Top of the office 2014 • Top 10% Nationally 2014 • Top of the office 2015 • Top 10% Nationally 2015 • Top of the office 2016 • Top 10% Nationally 2016 T E S T I M O N I A L S 33 James Evans Drive, Northcote I couldn’t be happier that I chose Karlene and Kirstin to market my biggest asset. From the get go Karlene and Kirstin were focused on exposing my home/property to as many buyers as possible. They came up with an substantial marketing programme and successfully reached a broad audience of buyers actively seeking property on the shore. It was important to me that they reached out to as many other agents as possible to ensure that we had a competitive auction. Nothing was too much trouble for Karlene and Kirstin – they made a stressful situation so much easier! And the end result was that I achieved a result that I am very happy with – I highly recommend Karlene and Kirstin to anyone seeking to sell their property in Auckland. I’d be more than happy to take a call if you have any questions about this testimonial Yours sincerely Bruce 9 Phyllis St, Mt Albert. Rod and I would like to thank you most sincerely for the amazing campaign you ran for the sale of our Phyllis Street property at Auction. The marketing you undertook over the three week sale period really paid dividends, and we just couldn’t believe the numbers that were coming through the Open Homes each weekend. As always happens, in the sale or purchase of any property, our emotions roller coasted through the ups and downs, but you were always honest about how things were going and managed to do an excellent job of keeping our feet planted firmly on the ground (in the nicest possible way), and we trusted you (and the process) implicitly. And what can we say about the result – it was truly spectacular – more than we could possibly have hoped for and there is only one person to thank for that – you! So thank you Kirstin – we couldn’t have done it without you! 1/5 Patterson St, Sandringham. Kirstin excels at what she does. Her motivation and passion right from the get go as well as her superb sales history made the decision to choose her easy. We felt comfortable leaving the whole campaign in her hands which is a big thing for us ( we are both control freaks who worry about detail) and were not disappointed. Kirstin's advertising skills, attention to detail, discretion and follow-up were both second to none. We never had to worry about any aspect of the campaign. She is a true professional in her industry and our trust in her was rewarded on auction day with a great result. We know this was not accidental but due to the extraordinary work ethic employed in meeting the requirements of all parties involved. Kirstin, thank you for your dedication and excellent client care during a difficult time for us, your service was close to faultless, we cannot recommend you highly enough to anyone who asks. We love our new home and life up north, you made the whole experience seamless for us which made our transition that much easier. 80 Paice Avenue, Sandringham. We approached Kirstin about a year ago as they had made a sale close to our property in Paice Ave. Kirstin has kept in regular contact keeping us updated with sales results and the NZ market. We are based in the Caymans so when it was time to sell our property in Sandringham we had no hesitation in reaching out to Kirstin. We found her to be very responsive despite the time zone difference and she consulted us when appropriate, kept us up to speed without inundating us with information. Thanks so much for all the attention you paid to the sale of our property, it provided reassurance at a distance and a fantastic result. We would happily recommend Kirstin to future vendors. 2 Burnley Terrace, Mt Eden. After almost ten years in our lovely character villa, where our two boys spent their first few years, it was time to move on. Having bought our next family home, we turned to Kirstin to market 2 Burnley. Although we had secured a relatively long settlement on our new house, there was no time to dilly-dally. Kirstin talked us through the marketing plan and sale process, and Kirstin provided great contacts to help get our home ready for photos and open homes. She was open and communicative at all times, and when it came to crunch time (we received a pre-auction offer pretty early on), Kirstin helped us achieve a good sale with as little stress and consternation as possible Kirstin was great to deal with, she went the extra mile numerous times and we would recommend her to future vendors. 21 Highland Road, Mount Albert Selling a house – in my mind – is one of the hardest things to do. It is easy to become a nervous wreck plagued with what-if questions. Ok, that might be a slight exaggeration - however, you get the idea. Kirstin Collins had sold a few properties in our area and came highly recommended. I have dealt with estate agents before, but Kirstin was professional beyond belief. I felt safe and looked after by a knowledgeable, professional expert. Every week after the open homes I received a written report based on the open homes and a few days later Kirstin would see me to talk through the report and answer any questions. Nothing was ever too much trouble for Kirstin, she delivered on every promise and I could tell she is passionate about what she does. I would highly recommend Kirstin Collins 7 Taumata Road, Sandringham. 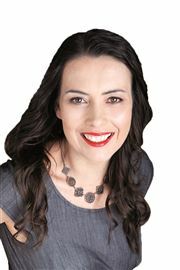 We would like to recommend the fabulous Kirstin to all who are considering selling their property. Even before her services were engaged she began working for us. This was a brilliant strategy on her part and one that proved invaluable as a campaign reference point for us. Kirstin guided us through the entire process to auction with a great deal of respect, courtesy and professionalism. All advice, opinions and information was provided with care and consideration of the emotional process we were undertaking. From the outset we felt her approach was personal and despite what must’ve been a challenging season we could see she made us feel that the sale of our property was something she was personally connected to, unique and a priority to her. Throughout the campaign we felt supported and had full confidence in her process and I can honestly say I enjoyed what is for most an extremely stressful experience. Kirstin is extremely talented in her approach with a confidence that is not at all pushy and at all times respectful. We enjoyed sharing her enthusiasm, pride in a job well done as well as the challenges and successes along the way. We knew where things were at with each stage of the process with her excellent communications. One of the main reasons we chose Kirstin was her proven record of achieving unprecedented prices for her clients and glowing prior client reports. She certainly delivered in this with what was deemed a “remarkable result” by the National Real Estate Authority. We wish Kirstin every success in her future. 83 Epsom Ave, Epsom We would highly recommend Kirstin to anyone looking for an agent to sell their property, she sold our house recently and achieved fantastic results. Personally we found her very nice, down to earth person who is easy to work with. Professionally she was extremely hardworking and thorough with invaluable experience and knowledge. We were very impressed with the way she dealt with potential purchasers. We have absolutely no hesitation in recommending Kirstin to future vendors. 12 Prospect Terrace, Mt Eden We used Kirstin for the sale of our Mt Eden property and found her to be very friendly, personable and professional in her inter action with us. I would have no hesitation in using using Kirstin again. She achieved a great result for us and would recommend them to potential vendors who are looking for a helpful, honest and friendly sales person. 4 Vinter Tce, Mt Albert “Based on Kirstin's recent sales and local expertise, we chose to put our house up for sale with Kirstin Collins. After the initial appraisal which we were happy with, Kirstin proposed a very successful marketing campaign based on the results she had experienced with previous properties. The three weeks of open homes were run smoothly with us receiving full reports at the end of each weekend on the progress, there was a genuine and thoughtful process behind every decision made which resulted in a more than successful outcome. We would definitely use Kirstin for our next property campaign.” 10B Gerbic Place, Mt Roskill I absolutely loved my house, which I have invested so much time, finance and afford to bring to the best European standard! It was great 4 years to live and enjoy it. However, after we made the decision to go on we put our house on the hot market of middle 2012 for sale. I did not trust agents I met before and did not want to pay to any real estate person to deal with my home. I was very sceptic about Kirstin as well, however decided to give a chance for only 5 working days! I left to a conference and Kirstin had done amazing, efficient, effective and completely unbelievable work to sell my property in only 5 days. She brought me a good offer and helped to negotiate the price and settlement day. She even helped at the last minute to empty the place before settlement! Kirstin is nice, positive and very professional person, who great and easy to deal with. I am using her help to get my new house as well! 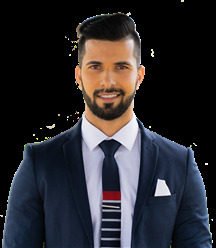 Incredibly Motivated, hard working, driven and with a hunger for success, Nasim possesses the focus to understand individual needs and requirements and loves nothing more than exceeding goals and challenges. 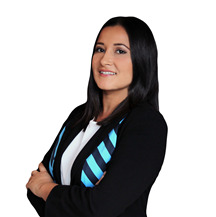 Trained and inspired in Real Estate sales by some of the best in the industry, she aims to make the process simple and profitable for clients when buying, selling or investing in a property. With years of sales and client care experience, Nasim offers an advantage to all her sellers as she marries the two in a smooth transaction. Guaranteed, her genuine personality and effective communication skills will translate into a positive buying / selling experience for you and your family! Contact Nasim to get one step closer to opening the door to your new home. Sarah Williams knows all there is to know about moving houses. Originally from Scotland, Sarah arrived in Auckland in 1996 on a two year placement from the London office of one of the UKs large International Relocation Company’s. The aim was to study more about moving to New Zealand to help relocate families more knowledgably on her return. Nearly 20 years on I think we can say her research told her that this was the place to stay! In 2001 she started her own International Relocation company Budget Moving Group, which she still successfully runs today. Having spent years assisting clients move their personal effects in and out of homes Sarah wanted to expand this knowledge and help clients buy and sell their homes too. Who better to do this with than Harcourts St Heliers. With the successes of a First class Business Degree and becoming a Company Director achieved, Sarah is highly motivated to meet her goal of a very successful career in Real Estate. Sarah was born to sell, she has a great personality that you are sure to love, is an intelligent go getter and with a no fail attitude to sales she is sure to find you the right buyer and negotiate the best price for your property. Call Sarah today she will help you achieve your goal of selling your home! 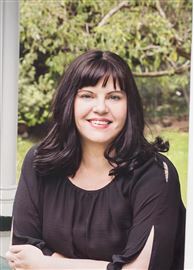 With a background in nursing, management and business ownership Wendy Keats is confident that joining Harcourts JK Realty was a natural progression. To her it’s the perfect opportunity to put her people skills to good work and a task she approaches with excitement and vigour. Honesty and integrity are central to Wendy’s beliefs and getting to know her clients needs is foremost in her mind. Having lived in the area for over 20 years the mother-oftwo knows the neighbourhood inside-out. Good schools, excellent facilities and the central location was what attracted Wendy and her family many years ago and seeing its progression and vibrancy has really inspired her. Wendy’s experience in nursing brings empathy and a real understanding of what people want and her handson approach is reassuring and honest. From the initial consultation to the final handshake on a deal she strives to see the job through from beginning to end. Good communication and an upfront manner will ensure a smooth process throughout and as it may be one of the most important transactions of your life, Wendy guarantees she’ll work tirelessly on your behalf and give you her utmost attention. 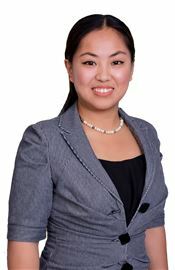 Winnie who emigrated from China came to New Zealand in 1995 and immediately invested in the New Zealand property market. She has over 15 years of sales experience in Auckland, she is fluent in English, Mandarin and Cantonese and has a passion for all aspects of property. She understands what clients want from their real estate salesperson because of her own investment experience. 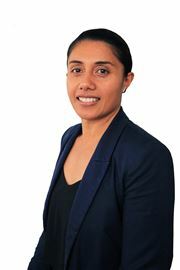 Winnie can deliver a professional service to clients and is driven to do what it takes to find the best deal for sellers of property in the Auckland area. With fifteen years in sales and almost seven years as a property manager under her belt, Catherine brings a wealth of experience and skills to her job as property manager. She prides herself on her strong organisational skills which ensure her properties are always well looked after and rental processes run as smoothly as possible, avoiding problems down the line. Her central values of honesty and integrity mean it’s important to Catherine that her tenants pay their rent on time, allowing investment property owners to have peace of mind. Her ability to arrange all aspects of property management seamlessly mean she consistently exceeds her clients’ expectations. Catherine is an example of how the personal hallmarks of Harcourts – trust, honesty, and integrity – drive our team members to provide excellent service. Outside of her job, Catherine enjoys travelling and painting. Gail has been with the real estate administrative and marketing support role for a total of five years now. She worked with real estate agents in the US, Canada and New Zealand as an Administrative/Marketing Assistant, Sales Associate and Executive Assistant, respectively. Gail is looking forward to bring more value to the role she is currently in. Do Up Opportunity, Below CV! Superior Live and Work Unit. Look Sea Well Below CV! Cute Cottage Reduced to Sell! Vendor says it must be sold! Mixed Use Unit, brand new! Nest Or Invest With The Best! Are You Limited To A Budget? Time to Get in to the Market!